New to the UK, Unique Melody is an earphone specialist with an impressive range of feature-heavy products. The flagship model tested here, the Miracle, is unusual in boasting six drive units: twin treble; twin mid and twin bass drivers, with a passive three-way crossover all packed into a compact shell barely any bigger than rivals from Shure and ACS. From a respectable line-up, the UK distributor AmpCity, suggested we dive straight in with the top model, aimed at audiophiles on the move. 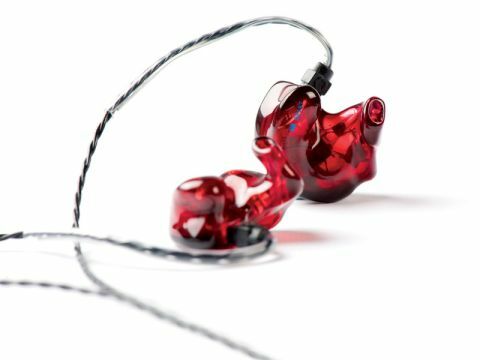 Like many high-end in-ears, the Miracles are offered with tailor-made moulds and if you take mobile music seriously, these are now a must. Not only do they offer all-day comfort, their superior noise cancelling protects hearing by enabling lower volume levels. Of course, the Miracle's biggest feature is its driver count. The Miracle doubles-up on HFC favourite the £500 Shure SE535, with pairs of drivers for treble, mid and bass. But, just like a multi-driver floorstander, more isn't necessarily better: it's all about the design and execution. One interesting aspect of the Miracle is the option for customers to 'tweak' the frequency response curve at a factory level. AmpCity says it's possible to add or subtract a couple of dB as you see fit, if required. Each set comes with a factory-generated frequency response graph; our pair's chart, for example, showed off an incredibly linear response from 10Hz to 500Hz. Customers can choose any colour and any artwork for the shells and usefully, the cable is detachable; which is handy for those rush-hour snags and, more importantly, upgrade experimentation. The Miracles are impressively well built. The shell uses a German-made hard plastic which appears flawless on close inspection. The only real grumble is that the cable feels cheap and insubstantial (even if it isn't), tangles easily and lacks the elegance of the Shure system; but it is replaceable. We mentioned the tough plastic and the jury is still out on this one. It's used for longevity as the silicone used in some rivals doesn't last nearly as well (trust us!). But, it's more uncomfortable to insert and remove, although importantly it's fine once it's in, and doesn't interface with the inner ear as well as silicone. Still, points added for finish, quality and lifespan. Value is harder to summarise, however. Build is first-class, custom moulds are included and there's a lot of tech inside, but £800 is considerable for an earphone, but this is the high end. Remember that linear trace on the graph? Well, you can hear it! The Miracle's have phenomenal bass ability: simply the best we've heard. There's depth, extension, dynamics and musicality to the low stuff you simply won't get anywhere else. Electronica and rock fans will be rewarded. The midband is good and, although we would have preferred a little more presence and neutrality, there's plenty of rhythm and musicality. Things are less rosy in the treble band: a steep roll-off from 7kHz robs the presentation of sparkle in the high frequencies; we found ourselves pointlessly upping the volume to try and compensate. Here's a good example of how the 'tweaking' service could help. Things did, however, improve a little as we progressed through the 150-hour run-in and beyond. The Miracle is a very good product. It's not without criticism, though, but there are sound arguments against some of our grumbles (the hard plastic) and solutions for others (such as the adaptable frequency response). It deserves to be auditioned, along with the non-moulded Shure SE535 and moulded models from ACS.